Administration emails show that President Donald Trump intervened personally to keep FBI headquarters in downtown Washington rather than relocate it to the suburbs as had long been planned, congressional Democrats said Thursday. The letter from Democratic lawmakers on the House Committee on Oversight and Government Reform says Trump's direct involvement presents a brazen conflict of interest. Near FBI headquarters, Trump owns the Trump International Hotel, which could face competition if the FBI's current location is opened to private redevelopment, which could include another hotel. Before running for office, Trump expressed interest in redeveloping the property himself. Trump "was directly involved with the decision to abandon the long-term relocation plan and instead move ahead with the more expensive proposal to construct a new building on the same site, and thereby prevent Trump Hotel competitors from acquiring the land," wrote Democratic Reps. Elijah Cummings of Maryland, Gerry Connolly of Virginia, Dina Titus of Nevada, Peter DeFazio of Oregon and Mike Quigley of Illinois. Connolly said in an interview Thursday that the president's actions boosted himself, not Americans. "It tells me that the president is still willing to put his own economic interest ahead of the country's," he said. The White House said the decision to keep FBI headquarters in D.C. was motivated by saving taxpayer money: "Once again House Democrats have it all wrong. The President wanted to save the government money and also the FBI leadership did not want to move its headquarters." Thursday's letter cites correspondence from a senior official at the General Services Administration, which manages real estate for the federal government, outlining a Jan. 2018 Oval Office meeting and describing the headquarters decision as "what POTUS directed everyone to do." Another email describes steps that will be "necessary to deliver the project the president wants on the timetable he wants it done." The General Services Administration responded in a written statement, saying that "suggestions that those emails indicate presidential involvement in the location decision are inaccurate." "As previously testified by GSA and the FBI, the leadership team at the FBI made the decision to keep its headquarters at the current Pennsylvania Avenue location. 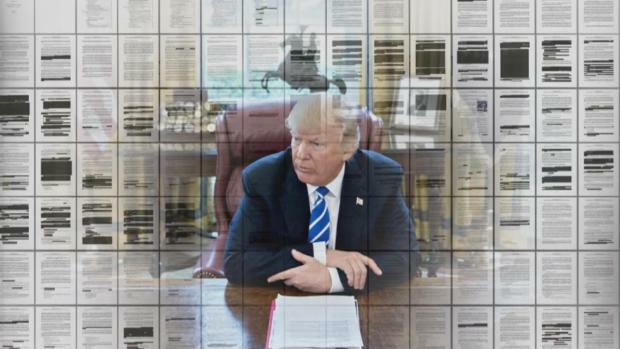 A number of emails referenced in today's congressional letter are taken out of context and refer to the project's funding approach, not the location decision," GSA said. The Democrats' letter follows up on an inspector general's report issued earlier this year that disclosed Trump was participating in meetings in which the FBI headquarters project was discussed. The IG report, though, offered no conclusions about whether Trump actively pushed for the downtown location in those meetings. The inspector general concluded that determining Trump's specific involvement was difficult, in large part because the inspector general said GSA employees were instructed not to discuss any statements Trump made at those meetings. The correspondence cited by Democrats was also available to the inspector general, but Democrats are attaching more significance to the letters than the IG did. Connolly said the letters represent significant circumstantial evidence, given the overall context of the project. For more than a decade, Connolly said, the plan to move FBI headquarters to the suburbs was widely accepted as the most logical alternative. 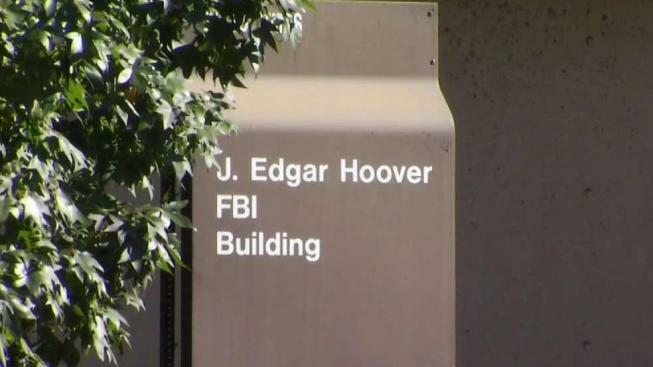 The current J. Edgar Hoover building, built in 1974, is crumbling badly. The space is not big enough to consolidate all FBI personnel, and modern security requirements impose building restrictions that would be extremely difficult to meet at the existing location, Connolly said. Advocates of a suburban location say it would be less expensive and more efficient. Given Trump's financial conflict of interest with his hotel, and his ongoing feud with the FBI, Connolly said Trump's involvement in the decision is all the more suspicious. He also said GSA has been less than forthcoming about Trump's involvement in the decision in congressional testimony. "This is an issue we will continue to pursue in the next Congress," Connolly said. Officials in Maryland and Virginia competed for years to land the project, which could bring more than 10,000 jobs.